Ready for some revving engines, car crushing fun?? 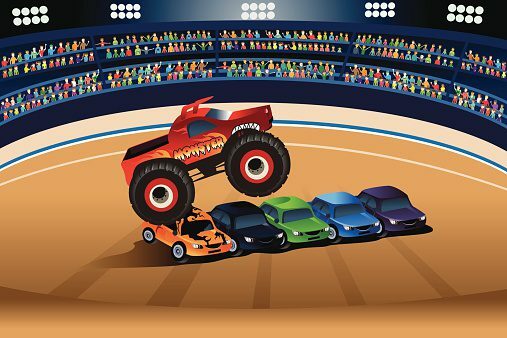 Monster Truck Jam is an event for all ages! Monster Jam is adrenaline-charged family entertainment providing jaw-dropping displays and gravity-defying feats that promises to always leave fans entertained. Be sure to order your tickets online! Check out their website for tickets prices, directions, dates and more! Previous Previous post: Night Out Painting at Bel Aire Terrace! Next Next post: Spring Break Camp!